Ventipop Blog Daily Grind :: New Gaga, Immortality & Artisanal Toilet Paper Become a Patron! Ventipop is a weekly collection of the best stories on the internet covering food, books, music, science, humor, design and art. If it makes you think, smile or cry then it might be on Ventipop. You really are the bomb. "Modern Life Is Full of Small Indignities"
Dario Crisman "Reflection of You"
The new Lady Gaga track "Million Reasons" gets us started on this fine Thursday. I've a feeling you're going to be hearing this one a lot over the next year or so. Hope you and yours are doing well. Fill you mug with whatever you need to get you through and let's grind to a few stories on laughter, immortality, the past, the future and toilet paper from hell. I've been in search of this answer my whole life: Why do french fries taste so bad when they're cold? The more you laugh, the longer you live. Especially, if you're a woman. You can laugh all you want but the human life span has already maxed out. But do not tell that to the folks attending the Revolution Against Aging and Death Festival. Amazon Prime members can now access a lot of reading material including eBooks and magazines at no extra charge. A while ago, my kids and I were sitting in the car waiting on a train to pass. I told them when the caboose comes, the train will be over. They asked what a caboose was. The train came to an end and there was no caboose. One of those weirdly sad parenting moments where something as simple as a missing caboose makes you wonder what kind of world have you brought your kids into. Whatever happened to the little red caboose? This story sounds like it belongs on The Onion, but it's actually true. There is a crowdsourcing project dedicated to Archiving the Civil War's text messages. Will anything we currently build still be standing in 500 years? Here are seven ancient statues still standing tall. 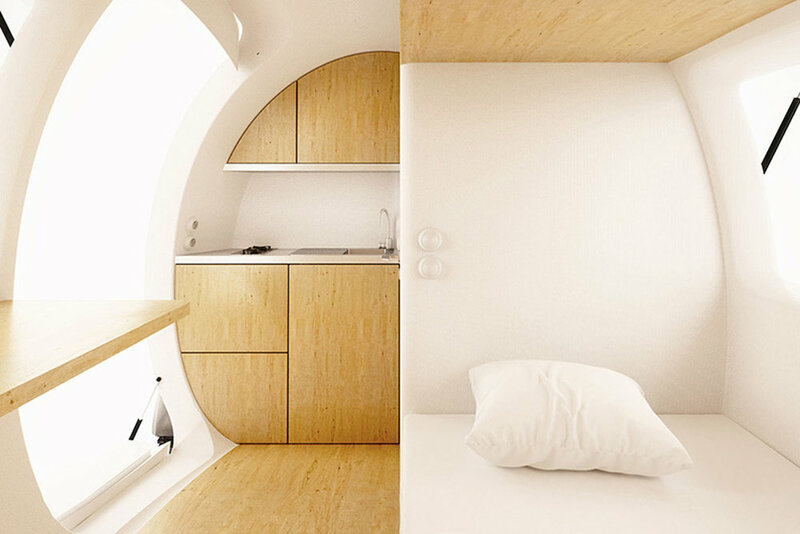 Maybe an Ecocapsule will be the home of the future. It's an independent, tiny home powered by solar and wind energy. And if you decide you don't like the political sign your neighbors placed in their front yard, it can easily be moved for a change of scenery. Ventipop is a weekly culture collection for curious people. A tasteful curation on a mission to spark intellect and rekindle hope. Get it now! Ventipop remains free (and nearly ad-free). If you find any peace and value in what I do, any donation, big or small, means a lot and helps keep spreading the positive vibes. Ventipop makes a little money to keep the lights on when you click on the Ad below or buy something from Amazon. Any support is much appreciated. I find interesting, positive and humorous stories on books, art, science, design, food and music. There are wonderful, joyful, creative and curious people out there doing all kinds of amazing things around the world. And I never post anything about he who shall not be named. Good News, Positive Vibes, Uplifting, Informative stories from around the world on Music, Books, Art, Science, Food and Humor. No Snark, No Celebrity Gossip and No Trump.